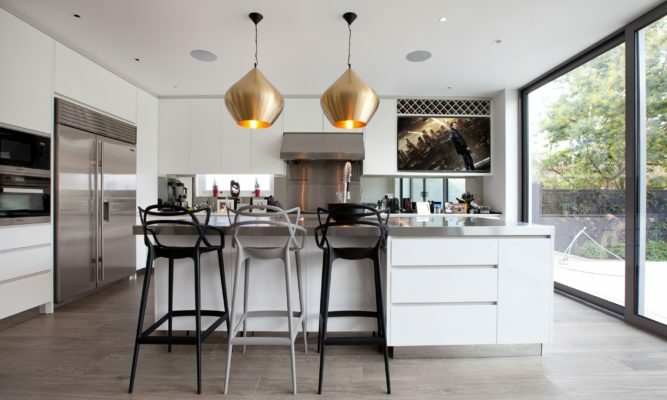 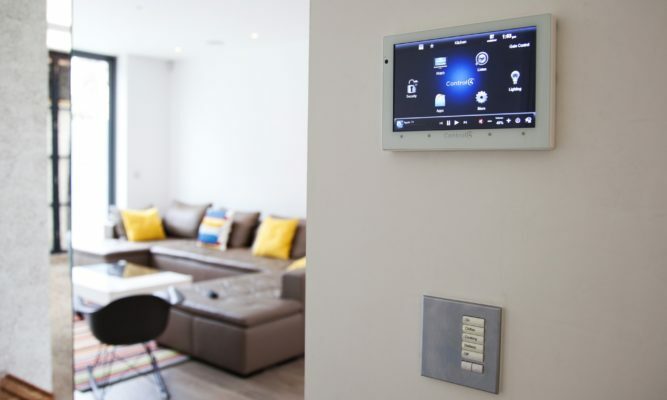 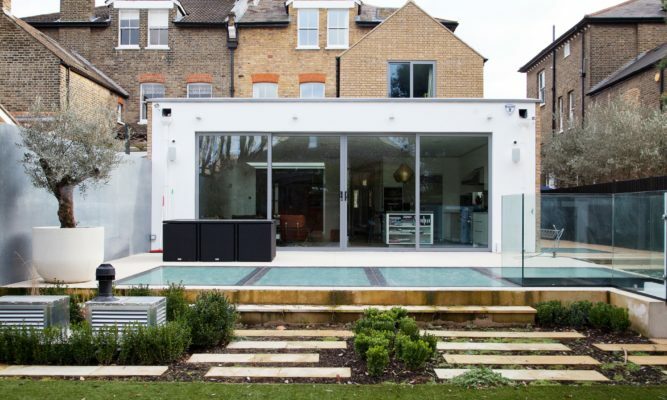 The clients were looking to achieve a smart integrated home with control of lighting, gate entry and multi room audio visual systems with easy operation as part of a refurbishment of the refurbishment and extension of a central London property. 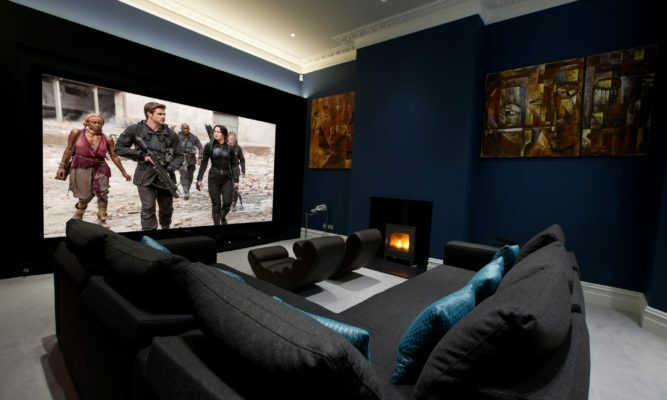 A large family media / cinema room was also required to include design of the acoustics and lighting in the room. 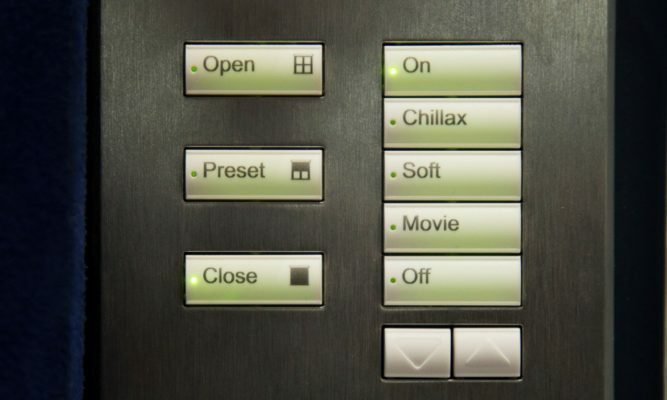 The Control4 system provided in wall touch panels in key locations around the property for global lighting and music control and gate and door entry control in addition to intercom functionality around the house. 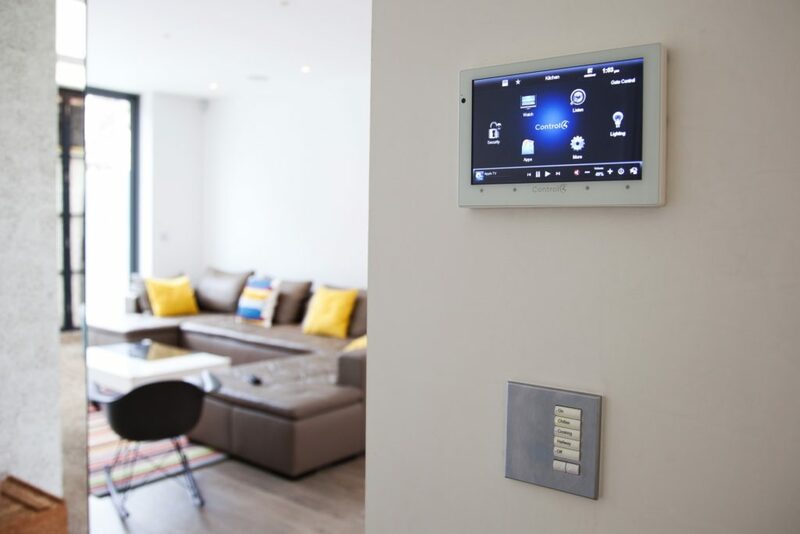 Smart Control4 hand held remotes and iPad and smart phone control was utilised to control the TV system in each room and to select and browse the Sonos music system. 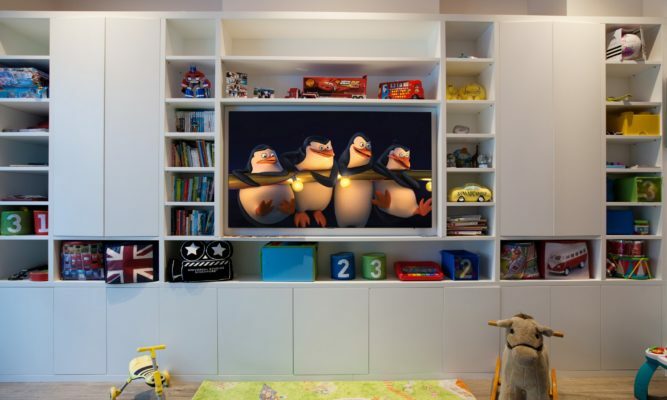 The cinema room provides a fantastic custom design solution that provides cozy relaxed seating for the whole family in a lounge styled environment. 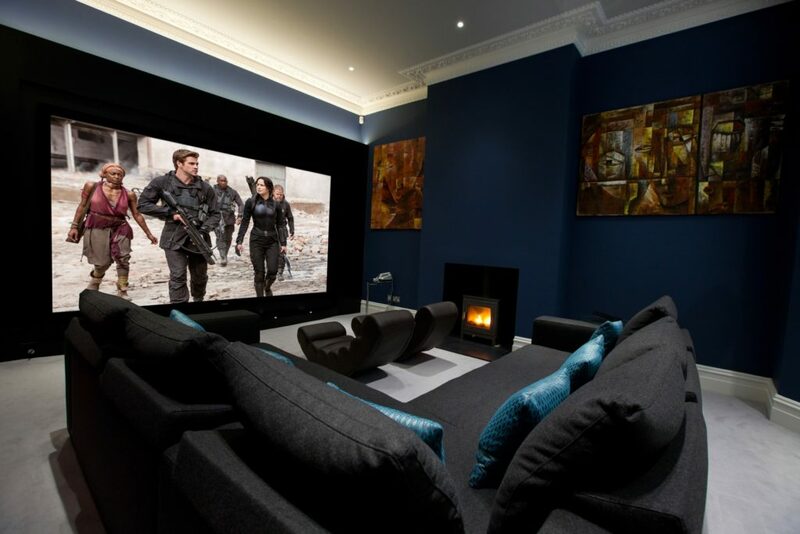 A large 11 foot wide fixed frame projection screen and 4k JVC projector deliver crystal clear images and a high quality B&W 7.2.2 speaker system and Storm electronics provide incredible audio power and detail. 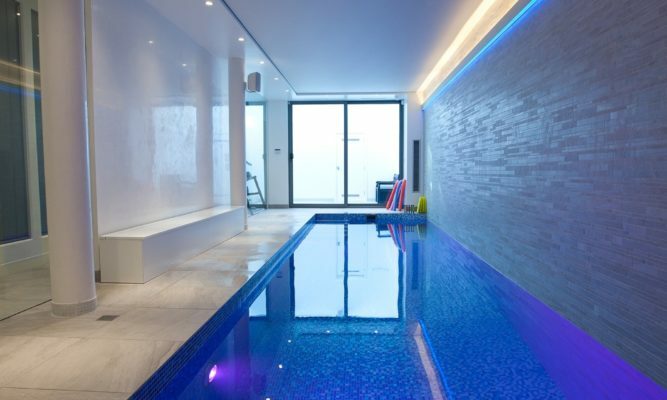 All speakers and electronics are built invisibly in to the walls and ceiling so as not to disrupt the interior design which features an acoustic treatment solution from Artnovian and fabric wrapped walling system. 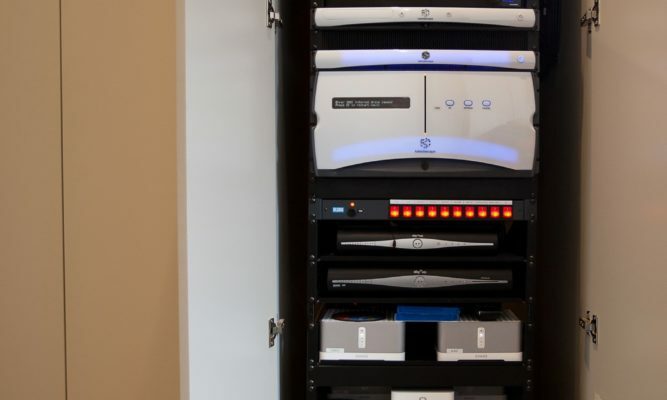 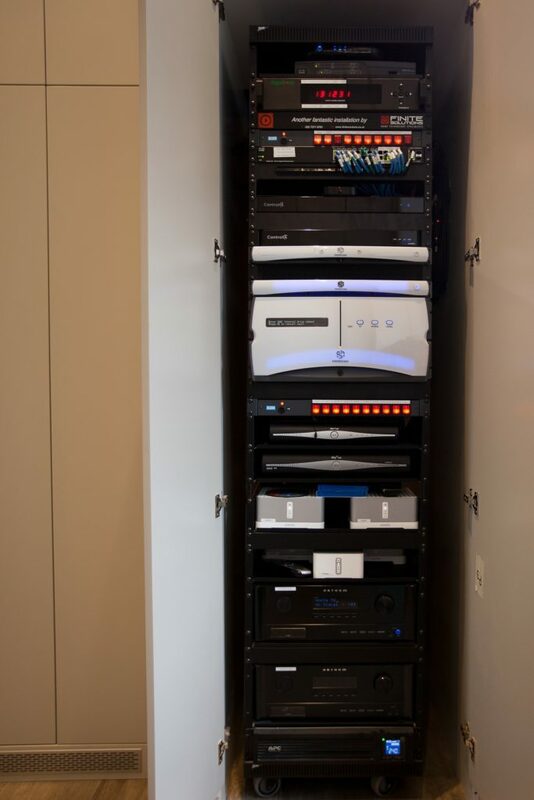 Upon completion the clients are delighted with the clean aesthetics of the system which is powered completely from a single hidden AV rack containing all electronics, and the ease of use and functionality of the system.